The Great Bear "Hu Nonp (the Bear God)" is the God of Wisdom, Medicine and White Magic of the Lakota People making it similar to God Thoth of the Ancient Egyptians, and the Hindu Elephant God Ganesha. "Ganesa (Sk.) The elephant-headed God of Wisdom, the son of Siva. He is the same as the Egyptian Thoth-Hermes [Thoth-Moisés], and Anubis or Hermanubis [Hermes-Anubis]." ("The Theosophical Glossary" by H. P. Blavatsky.). "THE GREAT SPIRIT" among the Lakota People is WAKANTANKA "The Great Mystery that no one of mankind can comprehend", "The Great Mysterious"; in the Vedas is VISHNU "The Supreme Spirit", "BRAHMA"; among Ancient Egyptians, THOTH "The most mysterious and the least understood of gods" (*1), and OSIRIS-ANUBIS; and in Early Christianity is JESUS-CHRIST, but as the HOLY SPIRIT is One with The FATHER and The SON The CHRIST, the Holy Spirit is also "The Great Spirit". In Early Christianity The God ANUBIS was called "ANUBIS-CHRIST." 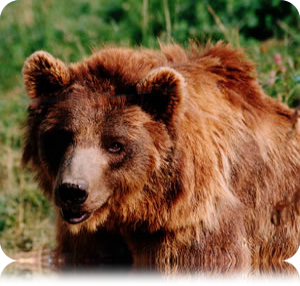 "A man dreams of the bear, and so he is very wakan [*2]. Also he belongs to the Bear society." "The man who dreams of the bear is leader of the whole society. These are the rules of the Bear society." ("Lakota Belief and Ritual", by James R. Walker, "Document 48, Bears Are Wakan", by "Thomas Tyon, a mixed-blood whom the holy men trusted and who frequently served as Walker's interpreter."). [*2] "Holy Man", "Wise Man". "... The Great Bear is the wisest of beings." ("Lakota Myth By James R. Walker; Elaine A. Jahner"). (Extraterrestrial Spaceship of Light - January 21, 2009 - flash slide presentation). (Extraterrestrial Spaceship of Light - January 21, 2009 - Photo Gallery). 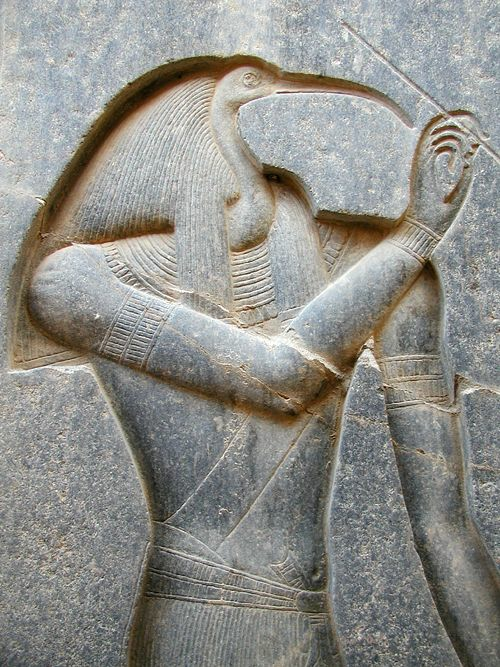 (*1) "Thoth (Eg.). The most mysterious and the least understood of gods, whose personal character is entirely distinct from all other ancient deities." "While the permutations of Osiris, Isis, Horus, and the rest, are so numberless that their individuality is all but lost, Thoth remains changeless from the first to the last Dynasty. He is the god of wisdom and of authority over all other gods. He is the recorder and the judge. His ibis-head, the pen and tablet of the celestial scribe, who records the thoughts, words and deeds of men and weighs them in the balance, liken him to the type of the esoteric Lipikas. His name is one of the first that appears on the oldest monuments. He is the lunar god of the first dynasties, the master of Cynocephalus—the dog-headed ape who stood in Egypt as a living symbol and remembrance of the Third Root-Race. (Secret Doctrine, II. pp. 184 and 185). He is the 'Lord of Hermopolis' —Janus, Hermes and Mercury combined. He is crowned with an atef and the lunar disk, and bears the 'Eye of Horus', the third eye, in his hand. He is the Greek Hermes, the god of learning, and Hermes Trismegistus, the 'Thrice-great Hermes', the patron of physical sciences and the patron and very soul of the occult esoteric knowledge. [...] According to Plato, 'Thoth-Hermes was the discoverer and inventor of numbers, geometry, astronomy and letters'. Proclus, the disciple of Plotinus, speaking of this mysterious deity, says: 'He presides over every species of condition, leading us to an intelligible essence from this mortal abode, governing the different herds of souls'". "In other words Thoth, as the Registrar and Recorder of Osiris in Amenti, the Judgment Hall of the Dead was a psychopompic deity; while Iamblichus hints that 'the cross with a handle (the thau or tau) which Tot holds in his hand, was none other than the monogram of his name'. Besides the Tau, as the prototype of Mercury, Thoth carries the serpent-rod, emblem of Wisdom, the rod that became the Caduceus. Says Mr. Bonwick, 'Hermes was the serpent itself in a mystical sense. He glides like that creature, noiselessly, without apparent exertion, along the course of ages. He is ... a representative of the spangled heavens. But he is the foe of the bad serpent, for the ibis devoured the snakes of Egypt.'" ("The Theosophical Glossary" by H. P. Blavatsky.). Narrative of an Experience in a Conscious Astral Projection of an encounter with the "Standing Bear" that turned into a Great Lakota Chief, of the Beautiful Salmon Fish, of the Sacred Tree and the Charming Sound of the Bamboo Magic Flute. Asunción, Paraguay. Month of July, Year 2006. I went out or Consciously Projected myself in my Astral Body and when already out of my physical body, moving away from my bed where my body was still resting, I walked towards the door that leads to the garden of the fountain. Divine Mother Kundalini! Divine Mother Kundalini! Divine Mother Kundalini! The fish radiated heat and energy that were melting the snow little by little, until the snow disappeared completely... while the salmon fish remained on the floor of the little crystal house... "The clock" had "snow"... instead of "sand"... which greatly attracted our attention. The ice and the snow had disappeared completely... And in front of the entrance of our house there was a beautiful, strong and leafy Tree which looked like an Oak... (or a Cedar Tree...). Without letting go of my right hand, the kind and paternal "Standing Bear" under the human form of a Great Lakota Chief, followed by my wife, our son, the lady and her daughter, took us on a tour of the house checking everything in detail. Eventually, he began to check some of the house's electrical cables and he took them in his hands. We saw that he put them close to his right ear and stood for a while as if he was expecting to hear something. These last Words of the Great Lakota Chief now remind us of the Words written in the Essene Texts from Qumran concerning the Work and Mission of the Essene Teacher of Righteousness reincarnated in the end times. "... the evildoer acc]osts the upright man... 13 [Its interpretation: the evildoer is the Wicked Priest and the upright man] is the Teacher of Righteousness..." (1QHabakkuk Pesher (1QpHab) Col. I). (“The Dead Sea Scrolls Translated..." by Florentino García Martínez). "The Wicked man stalks the Righteous man and seeks [to kill him..."
The "wicked priest" are Black Magicians' dark forces that, as in Ancient Egypt, attacked and attack V.M. Thoth-Moisés' Work and Mission, who is the Teacher of Righteousness reincarnated in these end times. (We invite the kind reader to read and study, for example, The Hymns or "Hodayoth" by the Teacher of Righteousness and the "Commentary on Habakkuk" of the Essene Texts from Qumran, among others. In this end of times of "Cutting Edge Technology", the electronic and electromagnetic technologies used constructively, peacefully, medically, etc., are positive for the Sake of Humanity. However, the electronic and electromagnetic technologies used to attack physically or psychologically, visibly or "invisibly", are instruments at the service of evil. "The Gnostic Technotronic will be like a biblical David who will face the intolerable Goliath of the perverted media and will win the battle." (Venerable Master Samael Aun Weor). The Work and Mission of the Essene Teacher of Righteousness reincarnated in V.M. Thoth-Moisés is a true "David", struggling Peacefully, Constructively, giving generously and freely the Bread of Wisdom to all Poor Suffering Humanity in these end times against the Black Lodge's dark forces that are the "Goliath of the perverted media". Studies and Symbologies of the Salmon Fish and the Crystal House, the Sacred Tree, the Standing Bear, the Bamboo Flute and the Great Lakota Chief. Our Divine Mother Kundalini is the Inner, Individual, Particular Divine Mother of our Soul, of our Spirit, of our own Being. Each Being has an Individual, Particular Divine Mother Kundalini. She is God-Mother, the Divine Virgin-Mother within each one of us. She, our Divine Mother Kundalini, is The Woman who can crush the head of the tempting serpent of Eden and of its seed, that is, the "I's" or the psychological defects we carry within ourselves. Our Divine Mother Kundalini's Lineage is the Intimate, Inner Christ. Our Divine Mother Kundalini and the Inner Christ can totally crush, disintegrate, eliminate the dark forces of the descending serpent (the Abominable Kundartiguador Organ) and of its seed, that is, the "I’s" or the psychological defects and their perverse lustful atoms. Our Divine Mother Kundalini can also help us project ourselves Consciously in Astral Body, taking us to Places and Sacred Temples where we are instructed in the Hidden, Sacred, Occult Wisdom of the Great Mysteries of the Great White Lodge. In relation to the Esoteric symbology, the Red Salmon is the Inner Christ. Once He achieves the Esoteric Resurrection from within his Crystal Sepulchre, He is then the Red-Coloured Philosophical Stone, the Hermetic Rose, the Lily Flower. "... much time to discuss it. This is so big and if it happens, it might happen quickly, and people have to awake to the possible reality that we are facing". The Arctic Thaw is already openly considered as "an imminent threat to life on Earth..."
"... the world will have to witness a new and frightening landscape in the North Pole: that of an Arctic in lack of ice". "... the impact on the Arctic is difficult to be established because that region is 'possibly going to respond more quickly and severely to climate change than any other part of the planet'." "Paradoxically, global warming might cool all of a sudden the eastern North America and northern Europe." The more the "global warming" increases, the more an imminent "Ice Age" approaches and precipitates in the northern hemisphere with catastrophic consequences worldwide, not only with the total collapse of the world economy, which is what concerns the worshipers of the "golden calf" most, but also with the destruction of almost all Mankind and vegetal and animal life throughout the planet, which is much more serious, leaving a few survivors as seedbed for a new Humanity after about two centuries of purification and renewal of the Earth through the struggle between the elements of Nature and from which, in a new Golden Age, a "New Progeny" will grow, blossom and bear fruit: "The Progeny of Metatron". A Canadian Geologist who has been investigating the movement of Earth's Magnetic axis towards Siberia has claimed that this change is happening very fast. Earth's Magnetic Pole always changes its position at the end of every Root Race... Every "26,000" years approximately. There is a great disturbance and agitation not only on our Planet Earth, but also throughout our Solar System. The "Global Warming" on our Planet Earth and other Planets of our Solar System is due to the approach of a Planetary Body "several times the size of Jupiter...", that is to say, Hercolubus! "The Lord is not slack concerning his promise, as some men count slackness; but is longsuffering toward us, not willing that any should perish, but that all should come to repentance." "But the day of the Lord will come as a thief in the night; in which the heavens shall pass away with a great noise, and the elements shall melt with fervent heat, the earth also and the works that are therein shall be burned up." "Seeing then that all these things shall be dissolved, what sort of persons ought you to be in all holy conversation and godliness, looking for and hastening the coming of the day of God, wherein the heavens being on fire shall be dissolved, and the elements will melt with fire?" "Seeing then that all these things shall be dissolved, what manner of persons ought you to be in all holy conduct and godliness, looking for and hastening unto the coming of the day of God, in which the heavens being on fire shall be dissolved, and the elements shall melt with fervent heat?" "Nevertheless we, according to His promise, look for new heavens and a new earth, in which dwells righteousness." "Therefore, beloved, seeing that you look for such things, be diligent that you may be found of him in peace, without spot, and blameless." (Second Epistle of St. Peter the Apostle, 3: 9-14). The Magnetic North Pole increases its displacing speed every year, moving faster Eastward towards Siberia. "The Mosaic flood had the same importance, the same spread, the same repercussions as all the previous floods. Somehow it is the typical description of the periodic catastrophe resulting from the reversal of the poles. It is the simplified interpretation of the successive floods, of which undoubtedly Moses was aware, either because he had been an eyewitness to one of them - which would justify his own name - or because he had obtained such knowledge through divine revelation. To us, the ark of salvation seems to represent the geographical location where the chosen ones gather when the great perturbation is near, rather than a hand-built boat. By its form, the ark already reveals itself as a cyclic figure rather than as a true ship. In a text where we must especially, according to the word of the Scriptures, consider the spirit rather than the letter, it is impossible for us to take the building of the ship in a literal sense as well as the search for "all the pure and impure animals" and their reunion by couples. A disaster that imposes, for two centuries, to living and free beings, living conditions so different from their normal ones, so contrary to their needs go beyond the limits of our reason. It should not be forgotten that during the entire trial, the hemisphere, given over to the rush of water, is plunged into the most total darkness. It is indeed worth knowing that Moses speaks of cyclic days, whose secret value is equal to regular years. Let us be more specific: it is written that the flood rains lasted forty days and that the waters covered the earth for one hundred and fifty days, that is one hundred and ninety days total. Then God caused a warm wind to blow, and the level of the sheet of water went down. The ark landed on Mount Ararat, in Armenia. Noah opened the window (the return to light) and liberated a crow which, held back by corpses, did not come back. He then let a dove fly which immediately came back to the ark, for at that time trees were still submerged. The patriarch then waited seven days and again let the bird fly, which returned toward evening bringing back a green olive branch. The flood was over. It had lasted one hundred and ninety-seven cyclic days, give or take three years, two actual centuries. Can we admit that a ship exposed to the storms for such a long time would be capable of resisting it? And, on the other hand, what should we think of its cargo? These implausibilities, even so, could not totally shake our convictions. We hold the Mosaic account to be true, and positive as far as its basis, that is to say, as far as the actuality of the event of the flood is concerned, but most of the circumstances which accompany it, particularly those concerned with Noah, with the ark, and with the coming and going of the animals are clearly allegorical. The text contains an esoteric teaching of considerable scope. Let us simply note that Noah, who has the same cabalistic meaning as Noel (Christmas in French; in Greek, Noe), is a contraction of the Greek [Neos-Helios], the New Sun. The ark, Arch, indicates the beginning of the new Era. The rainbow signifies the covenant that God makes with man, in a cycle which is just beginning; its is the born-again or renewed Symphony: consent, agreement, union, pact. It is also the belt of Iris (…), the privileged zone..." (Fulcanelli "The Dwellings of the Philosophers"). The Polar Star, "Polaris", currently in the Constellation of Ursa Minor ("Little Bear"), is the nearest Star to the North Pole. According to the Indigenous traditions of North America, "The Bear" is considered as the Guardian, the Protector, the Keeper and the Helping Spirit of North America. A Native North American Indigenous Legend tells that at the beginning of time, when the world was ice and snow, God Raven came from the sky and made the world green. But he missed the whiteness so he decided to create something that would remind him of the white beauty of the snow. He went through the great forest of the western coast and on an island where man has never lived, he made a Bear Cub out of every ten Black Bears White. He declared that they would live there forever, in peace. The Sound of the Magic Bamboo Flute is the Expression of the Being's Word, the Word of the Logos, the Inner Christ's Word. Only those who are always in the fear of sinning, which is the True "Fear of God", will be able to approach the Sacred Tree of Life and they will remain there, Protected by their Own Divine Being and by the "Protective Spirit" that Watches over America and parts of Western Europe: "The Great Atlantean"... in order for them to form the Community of the New Alliance with the Force of the "Dayspring of Youth". In our "Guía Práctica del Estudiante Gnóstico" [Practical Guide for the Gnostic Student], there are the Keys to be always in the True "Fear of God", that is, the fear of sinning... There are the Keys for the Work with The Three Factors of the Revolution of the Consciousness and Conscious Astral Projection. The Greatest Valor is that of those who overcome themselves. The Greatest Sacrifice is the Sacrifice of oneself. The Greatest sacrifice within oneself is to achieve the True and Authentic Scientific Chastity on the basis of the Disintegration of our psychological defects. Ceremonies and sacrifices that may be made are useless if a person fornicates or adulterates. The True Sacrifice is the TrueTotal Authentic Chastity which is achieved through the continuous death "from instant to instant, from moment to moment" of our "I's" or psychological defects in thoughts, feelings and actions. Before God, before the Great Invisible Spirit, rites, ceremonies, fasts, sacrifices, etc., have no value if there is no True Chastity, if there is no Total Faithfulness. The True and Real Sacrifice is that of the one who achieves the Death of the ego (the "I's" or the psychological defects) and attains True Total Chastity and Conscious Sacrifice for Humanity. We love all Beings, all Humanity. Every Human Being is also Humanity. "May all Beings be Happy!" "May all Beings be Blessed!" "May all Beings be at Peace!" New revision on Sunday, October 11, 2015.